Located in Lleida, we produce in our own fields stone fruit (as cherries, plums, nectarines, peaches, flat peaches, platerines and apricots) and seed fruit (as pears, apples and persimmons). We sell our stone fruit from April to October and seed fruit throughout the year. We export to European countries like England, France, Germany, Switzerland and Italy, and also to East European countries like Russia, Ukraine and Poland. Our plantations enable us to offer our customers high quality fruit, with high standards because it comes from large fields, where we work with unified criteria. 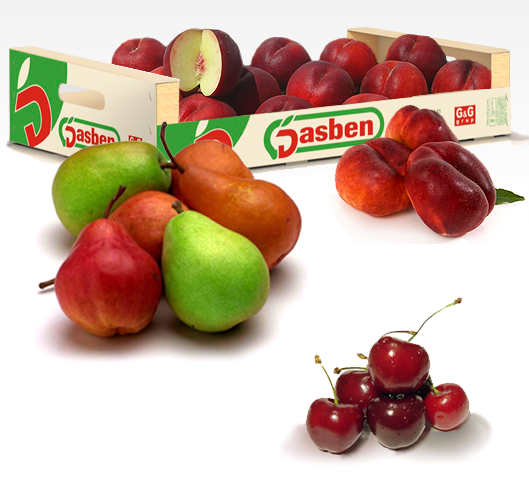 By fixing strict production, selection and manipulation’s standards we can guarantee a high quality fruit, and ensure continuity of supply from the beginning until the end of each campaign. Quality that is seen and appreciated. Natural flavor from our lands.